As you all know, last Saturday was World Gin Day. Some friends and I sampled a small collection of gins. It was a last minute, fun, and very informal event. I thought I would share the comments and ratings of our gins. The ratings were from 1 to 5 with 5 being best. There were no rules, guidelines, limitations, or expectations. It was just fun. I’ve also added whatever comments came first to mind. Miller’s was controversial with its pepper taste, though everyone enjoyed it. Though not necessarily for a Martini – G&T seemed a better option. New Amsterdam was a nice surprise and universally liked. Seagram’s was universally panned as was Tanqueray, though for different reasons. The former was just “boring” while the latter was a bit harsh for this audience. 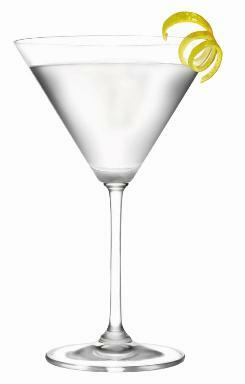 Tanqueray might get better reviews if were mellowed in a Martini. Next year I plan on expanding my sampling selections and invitees. I’m sure to add Bombay Sapphire, Bombay Sapphire East, Tanqueray Ten, and Tanqueray Rangpur. Any suggestions or requests will be gladly accepted. Keep watching for future notifications on time and place.